Find out how much you know about idling myths and facts by taking the Tender Tailpipe Test at Idle Free Oakland. Tender Tailpipe or Tend Your Tailpipe? Doesn’t matter, just get the facts straight. The test will take you thirty seconds, and then you can decide whether or not to kick the idling habit. The one-minute Pause & Park-it Pledge will ground your new knowledge in action that will make a difference! Take the Pause n’ Park-it Pledge! Then make the Pause & Park-it Pledge, using what you have learned to create a cleaner, greener city, and to drive leaner, too. An important part of this pledge is asking two friends to pledge with you. Fortunately this Engineering guy explains it sufficiently, with science and math and everything…. just stop idling, y’all! PLEASE SHARE! How kids are thinking about global warming… they need help from grownups! Fortunately this Engineering guy explains it sufficiently, with science and math and everything…. just stop idling, y’all! Posted by Kristen Caven on January 12, 2019 in Around the Web, Science and tagged engineering, Videos. In construction bids, nobody likes to leave money on the table. Yet the biggest controllable expense—fuel cost—is rarely scrutinized for savings. That’s unfortunate, given that the average idle time for heavy equipment is 40 percent, says Komatsu’s Ken Calvert.Komatsu started putting telematics on its machines in 2006. When they looked at the aggregate data two years later they were shocked to see how often machines idled. And that 40 percent doesn’t just mean wasted fuel, Calvert says. It also adds non-productive hours to the machine, lowers the resale value, shortens your warranty coverage, accelerates engine wear and causes you to schedule PMs when you really don’t need them. Posted by Kristen Caven on October 15, 2018 in Anti-idling campaigns, Around the Web, Good Sense. Posted by Kristen Caven on April 18, 2018 in Kids, Videos and tagged idle free guy. A cute 15 second video about the 10-second rule but this slogan doesn’t really work if you think about it too hard! From Help the Air KAIRE in Kentucky. Posted by Kristen Caven on April 17, 2018 in Around the Web, Videos and tagged 10-second rule. Posted by Kristen Caven on March 26, 2018 in Around the Web, Videos and tagged video. We would love to see more Scout troops add their own message! Posted by Kristen Caven on November 6, 2016 in Uncategorized. Cumulatively, the impact of vehicle idling is huge. In the U.S. alone, idling uses more than 6 billion gallons of fuel each year. In one study, Linda’s research team addressed a common dilemma faced by fast-food customers—do you use less fuel to drive-thru, or to park, go inside the restaurant, and then restart the car? 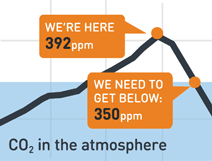 The answer: idling for longer than 10 seconds consumes more fuel and produces more global warming pollution than stopping and restarting, so you’re better off going inside the restaurant. via Oil Solutions At Work: Experts and Entrepreneurs Working to Reduce Oil Use | Union of Concerned Scientists. Posted by Kristen Caven on January 14, 2014 in Science. See why people in “a cleaner Connecticut” do it! Posted by Kristen Caven on November 12, 2013 in Uncategorized and tagged video. Canada gets it… why can’t we? 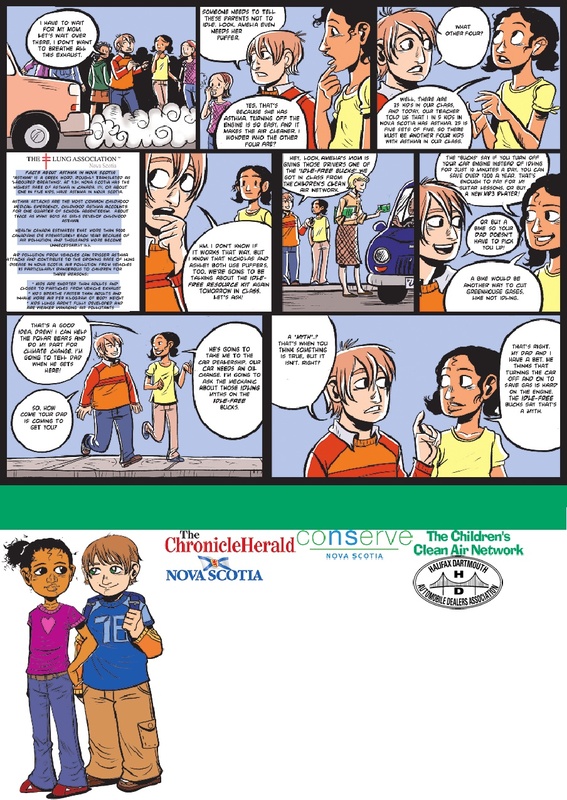 via ‘What’s up with going IDLE-FREE?’ NS Auto Dealers and Chronicle Herald 2007 Newspapers in Education (NIE) Supplement. Posted by Kristen Caven on October 8, 2013 in Around the Web, Good Sense, Kids. I just heard a report from a friend returning from China that traffic lights signal before the light turns green… so that drivers can re-start their engines and prepare to move. An article from the South China Morning Post discusses the benefits of switching engines off while waiting for a light to change. A Friends of the Earth survey has found that, although less than half of the drivers polled always switched off their engines when waiting, more than 60 per cent of the drivers who left their motor running said they would be willing to switch off regularly on realising this action helps the environment. Less than half of drivers switched off their engines already? What a huge number! Here in Oakland it would be less than one percent! Apparently, even the most mainstream Chinese drivers are already doing better than we are in terms of ending the harmful practice of unnecessary idling. via Drive to cut idling motors | South China Morning Post. Posted by Kristen Caven on October 7, 2013 in Around the Web, Idling Laws and tagged china, signals, traffic.